Product prices and availability are accurate as of 2019-04-10 03:46:21 EDT and are subject to change. Any price and availability information displayed on http://www.amazon.com/ at the time of purchase will apply to the purchase of this product. 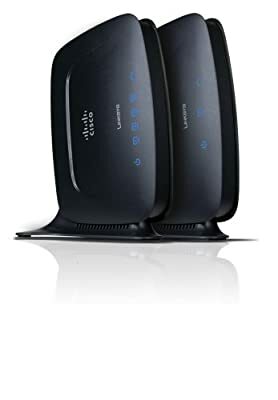 The Linksys Powerline Network Kit contains a single-port Powerline Adapter, and a four-port Powerline Adapter, which let you easily create a network using the existing electrical outlets in your home. Now you don't have to drill holes in walls and climb through the attic or cellar to install network cables -- just use the wires that already run through the building. With Powerline Network Adapters, you can connect computers or any other wired Ethernet device using the HomePlug 1.0 with Turbo network standard. They also work with older HomePlug 1.0 devices. Adding devices to the network is as simple as plugging a Powerline Adapter into an electrical outlet, and connecting your Ethernet-equipped devices to the built-in Ethernet ports. Additional devices can be connected to the same network using additional Powerline Adapters plugged into any electrical outlet anywhere in the house.